The Gratuity and commuted value of Pension (CVP) of retired Govt. employees are drawn by the respective D.D.O. from the Treasury. But the Gratuity and CVP for the employees be paid the Treasury officers. The Treasury officer is the D.D.O. for these cases. 02 The amount commuted is to be deducted from the total pension to be paid in all cases. This is entered in the computer and also Noted in the Bank wise P.P.O register. The amount deducted as computation in to be restored after the specified period. In case of family pension no commuted deducted from the Pension. 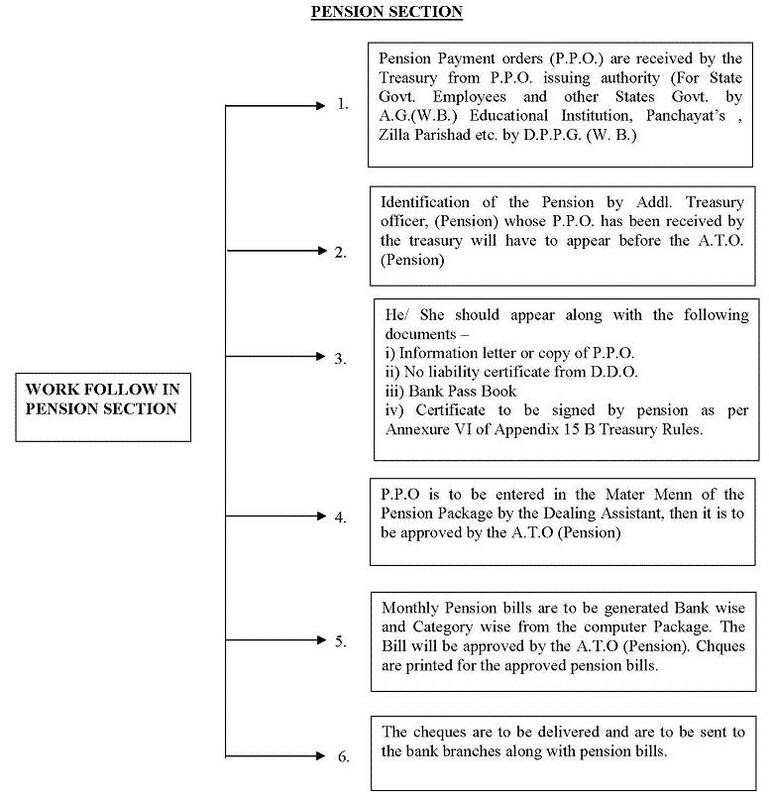 03 Sometimes the pension has to be revised as per Govt. order. It should be done very carefully. 04 Life certificate are to be obtained from the pensioner once a year in the month of November. The pensioners scheduled date are to be suspended. 05 A death register is also to be maintained. Any payment of Pension made to the bank beyond the date of death of the pensioner has to be recovered from the Bank and is to be deposited into Govt. Excheque. 06 Non-employment certificate are also to be collected from the Pensioners. The Pensioners who are employed are not eligible to get Dearness Relief. 07 Remarriage certificates also to be procured from the family pensioners and in case of remarriage family pension to be stopped. 08 Pensioners getting double pension will get Medical Allowance for only one pension. Bank Pass Book in his / her name. Attested copies of specimen signature. 10 The Pensioner can transfer his pension case from one Treasury to another. The Treasury officer will send the P.P.O. along with other relevant Papers to the Treasury from where the pensioner intends to take pension. 11 If pension paid to the minor pensioners the pension will be stopped when he / her will attain the age of 25 years. 12 Appear of new pensions and family pensioners will be stopped from 20th to 25th in a month due to preparation of monthly pension bill.